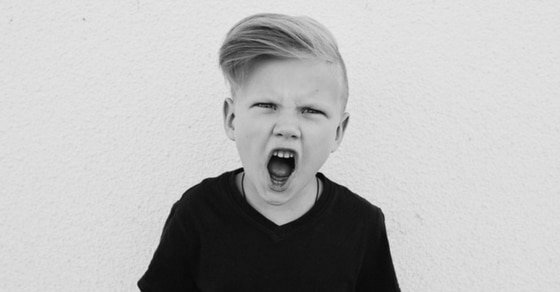 Anger and frustration can be difficult emotions for kids to understand and manage. These children’s books can help. How many times have we heard our kids yell statements such as these? These remarks often come from a place of intense feelings and might be followed by hitting, kicking, or acting out in an inappropriate way. Feelings like these can be confusing and scary to kids. It’s natural to feel angry and frustrated at times but helping kids understand their strong emotions – and especially how to cope with these emotions – provides them with life skills that pay off for the rest of their lives. 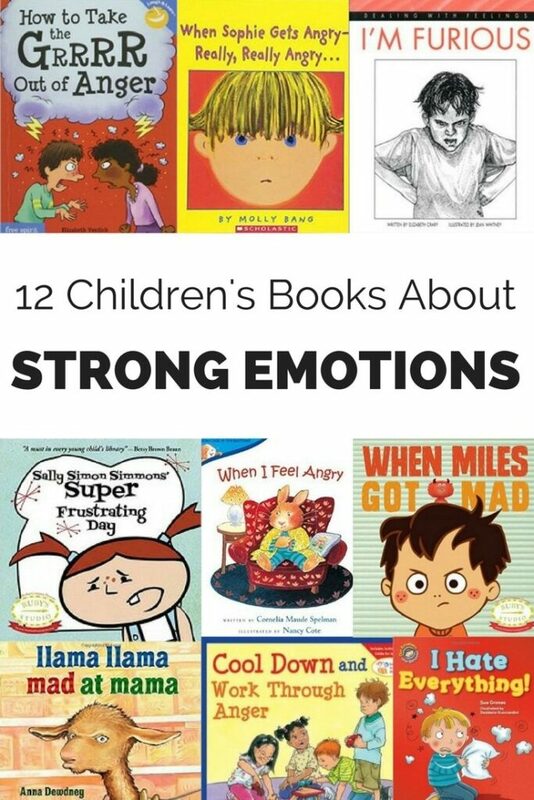 Talking to kids about these intense feelings can help, but books and stories can also let kids recognize their feelings and help them understand appropriate ways to respond in times of anger or frustration. Matt is justifiably mad. His little brother, Andy, took one of his baseball cards, scribbled on it and then somehow the card ended up in the toilet. As the boys begin to confront each other, Mom walks in, acknowledges Matt’s anger and helps him reflect on how he could respond to his brother. 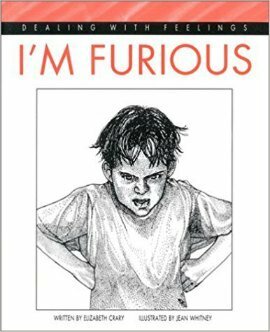 This book takes on a choose-your-own-adventure quality with it’s six divergent story lines, helping kids see how different responses to anger can lead to different outcomes. 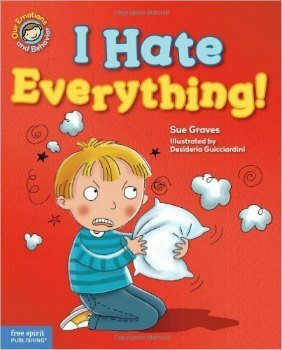 Sam is mad about everything – about how his little brother cries, how his Dad doesn’t have time for him, how he’s asked to eat carrots, and how someone else got the piece of cake he wanted. When his anger blows up at a birthday party, Sam’s aunt takes him aside and provides him with a few strategies to handle anger. 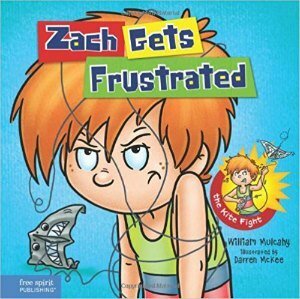 This book is a little like a self-help book for kids about how to handle anger. 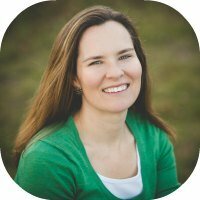 It begins by defining anger and then outlines strategies for dealing with anger. Some of the chapters include: “The Different Faces of Anger”, “Six Steps to Solving Anger Problems”, and “Grrreat Ways to Keep Your Cool”. 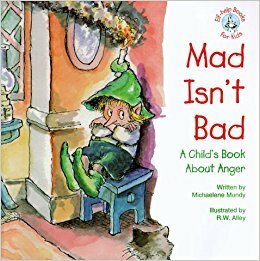 Through pictures and a story, this book helps kids understand and recognize anger, then helps them find strategies to handle anger and finally demonstrates ways that anger can be resolved. This book follows the story of a girl who experiences anger when someone makes fun of her, when she has to clean her room, or when she just can’t get a drawing to look right. 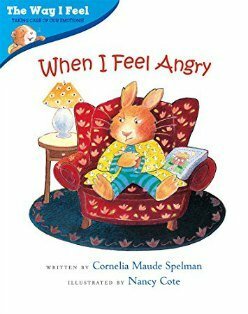 “Anger is a strong, hot feeling”, the book says and sometimes when we’re angry we want to say something mean, yell or hit. But feeling like doing something and actually doing it are two different things. 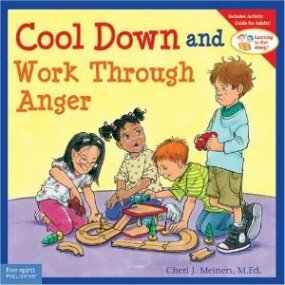 The book then provides a few suggestions for what kids can do to handle their anger and cool down. Miles gets mad when his brother breaks his favorite toy. 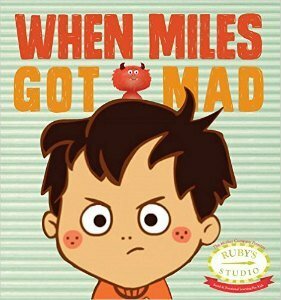 And as the anger builds inside of him, Miles catches a glimpse of himself in the mirror – but instead of seeing Miles he sees a furry red monster staring back. The monster encourages Miles to use his words to express his anger, helping Miles to calm himself. It’s OK to be angry – everyone does once in awhile – it’s what we do with our anger that matters. We have choices about how to handle anger. 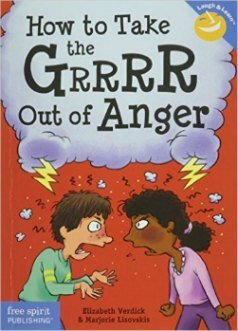 This book teaches kids what anger feels like and then goes into healthy ways to handle anger. Sophie gets really angry when her sister takes a toy away from her that Sophie was playing with. So angry that she kicks and screams and roars. When Sophie gets angry, she runs – as far away as she can. Then she cries and then is calmed by nature and the cool breeze that blows in her hair. Once Sophie settles down, she returns to the warmth of home. 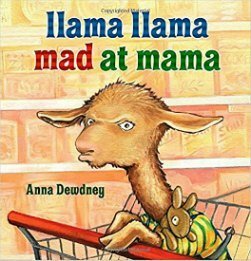 Little Llama is having fun playing when his Mom tells him it’s time to go shopping. Then Llama falls asleep in the car and gets woken up when he and mom arrive at the store. Shopping is not fun and Llama’s had enough. All of a sudden he begins whining and then throwing things. Mama says “That’s enough!” and also acknowledges that she too thinks shopping is boring, so they try to make shopping into more of a game. 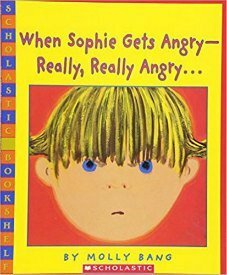 (While this book discusses anger, it doesn’t clearly explain how kids can handle their anger). 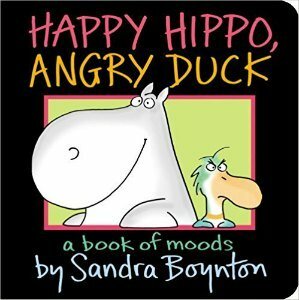 Sandra Boynton’s fun sing-songy book for young children covers all types of moods – a duck that’s angry, a chicken that’s sad, a moose that’s grumpy and a rabbit that’s worried, to name a few. At the end of the story, all the characters in the book say they “hope you are happy” but if you’re not you have friends who can help. They also declare that a difficult mood is not here to stay and to remember that everyone’s mood changes day to day. Zach is having a lousy day visiting the beach. First, he dropped his toothbrush in the toilet, then his best friend went to someone else’s birthday party instead of coming with him. And to top it all off, he can’t get his kite to fly! Zach kicks sand, gets angry and finally asks his dad if they can just go home. In this moment his dad teaches Zach a three-step approach to handle frustration and find a way to enjoy himself even if things aren’t going his way. Sally is determined to build the tallest double-decker sandwich but when her efforts fail, she gets frustrated and wants to give up. With the help of her teacher, Sally learns that it takes patience and practice to achieve desired goals.